Contrary to popular belief a conservatory is much more than big glass structures. In our new article, we go into ‘What makes a good Conservatory?’, and teach you how to identify excellent conservatories. The sheer number of Conservatories available can be overwhelming so knowing the signs to look out for when looking for a great conservatory can be tough. So in our new article, we guide you on how you can pick the perfect conservatory and what makes a good conservatory. Conservatories are primarily made of glass panes, and the best ones will let in the right amount of light. Of course keep in mind the amount of light that comes into the room depends on the conservatory, for example, orangeries let in the maximum amount of light because of their skylight while smaller conservatories such as Edwardian conservatories will let in a smaller amount of light. However, the conservatory you choose should be down to the amount of light you prefer and how you are using the conservatory. Traditionally conservatories were made to grow and take care of plants, with this choosing a conservatory that lets in the most amount of light would be suitable. However, if you are using it as a room or office space maybe a lot of light is not necessary, and a smaller conservatory might suit it more, but like mentioned prior, this is completely down to you and your preference. What is the point of a conservatory if it doesn’t look good? Anything you invest in for your home, especially a conservatory, should look right.  Fortunately here at Crown Windows, we offer our bespoke Conservatory in a range of designs and colours, Of course, the structure is just as important as design or colours, choosing a conservatory that literally fits perfectly with your home is important. Picking one that’s too small or too big will make it stand out and not in a good way. Investing in a conservatory that turns out to be uncomfortable would be a huge waste of time and money. To ensure you are comfortable with your conservatory, ensure it is the size and style you want it to be. The design and layout will, of course, add to the overall comfort of the conservatory, so choose themes or colours that you are most comfortable with to create an environment you will love. The installation and the finish of the conservatory depend on the company you choose to do it right? So pick the best one! One way you can find out if a company is worth it is by looking at their reviews on their social media pages, we say on their social media pages because they tend to be the most authentic and honest. Another way to find a well-established company is to look out for their accreditation’s, a company that is accredited means that they offer quality products and services. One of the biggest accreditation’s to look out for is the FENSA accreditation, if a company has this then you are guaranteed to have a well-installed conservatory! Here at Crown Windows our FENSA certified installers always ensure that your Conservatory in Milton Keynes or any other areas across the UK is built to the best standards!